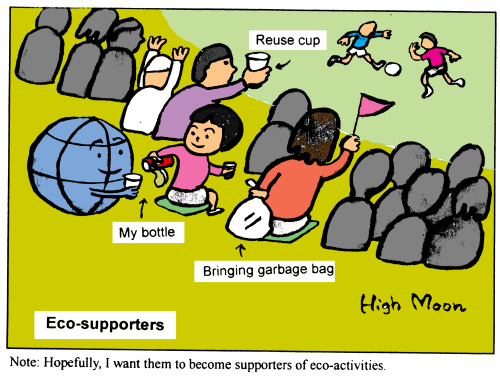 Note: Hopefully, I want them to become supporters of eco-activities. All contents on this page are under copyright. Please refrain from making any reprints or reproductions without the author's permission. These pages present cartoons by Professor Hiroshi Takatsuki. For more of his work, please check following website. *His pen-name is derived from his last name, which literally means high (taka) moon (tsuki) in Japanese.